Tracks breastfeeds, bottle feeds, breast pumps, nappies, sleep, solid food, baby's weight and baby's length. You can also make notes (ideal for recording baby's temperature and medicine given) and set notifications/alerts. 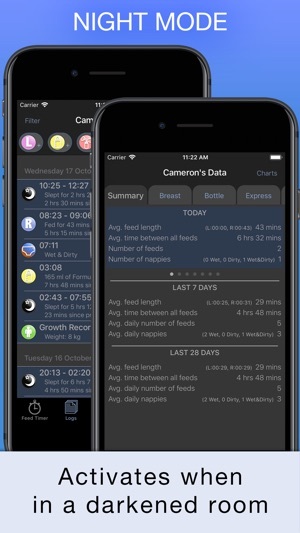 You can even synchronise the data across different phones (both iPhones and other phones) and view your data online at babyfeedtimer.net, making it easy to share baby's day with your partner or carer. Data is analysed ready for you and your health visitor and shows daily, weekly and monthly averages. √ Log breastfeeds, bottle feeds, breast pumps, nappies, sleep, solid food, baby's weight, baby's length, make notes and set reminders. 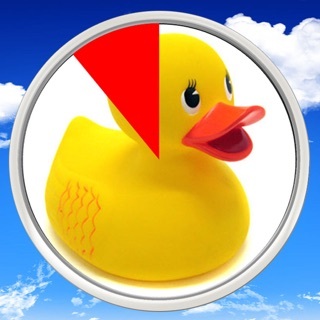 √ Synchronise data between different phones (iPhones and other phones). 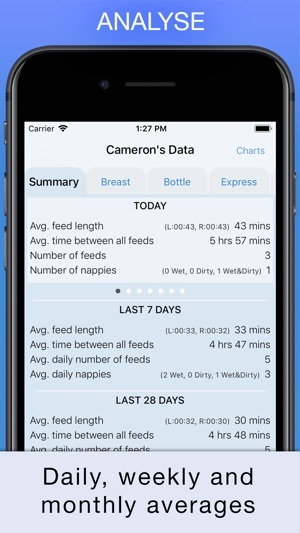 You can also view baby's data on babyfeedtimer.net. 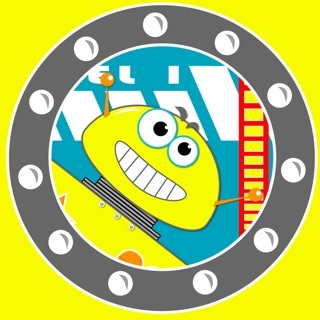 √ Apple Watch App. 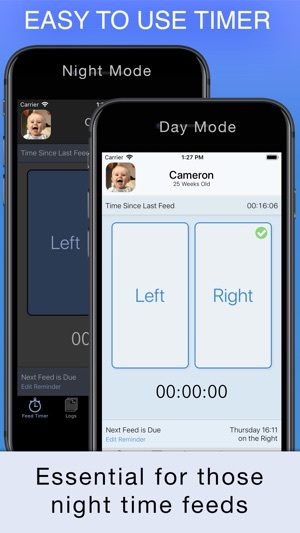 Quickly log breastfeeds, bottles, sleep, nappies, and breast pumps from your Apple Watch. Apple Watch also tells you when the next feed is due. It can even be used when your iPhone is switched off or not nearby! √ Focus on what's important to you by selecting which activities you would like to be displayed. You can even customise it further to show them in the order of your choice. √ See baby's weight and length plotted against data from the World Health Organisation to see what percentile your baby is in. 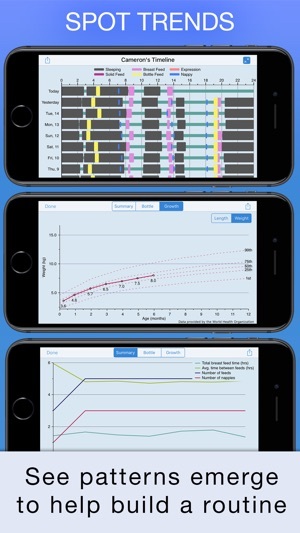 √ Easy to read charts displaying analysed data, as well as a timeline view so you can see emerging trends, such as baby feeding or sleeping at the same time every day. This also helps to show days when baby is acting differently such as more dirty nappies than usual. This app is amazing. 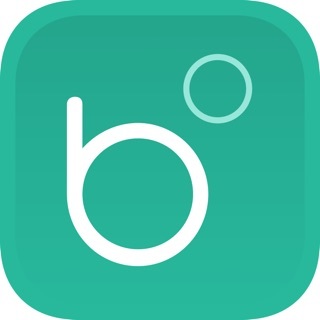 As a first time mum and someone who struggles with their memory this app is brilliant for keeping track of when i last fed my daughter, what breast and how long for. It also gives you statistical information regarding this, for example how many feeds they had on each breast or the time/average time spent per breast which is interesting. If you don’t breastfeed it has the options for bottle feeding and even expressing. You are also able to set reminders for you phone to notify you to do so. You can keep track of how many nappies you’ve changed and if they are wet, soiled or both which again has been very handy as my little girl had a problem with that recently that we needed to keep track. You can also note every time they sleep and it shows how long they have had or how many sleeps throughout the day etc. There is also other tabs for things like solid food and noting your baby’s growth (weight etc). Overall fantastic app! Extremely helpful app! Wouldn't be without it! I have a terrible memory & with sleep deprivation it was a lot worse! So I found this app essential to help track feeds & when I expressed in the early days. 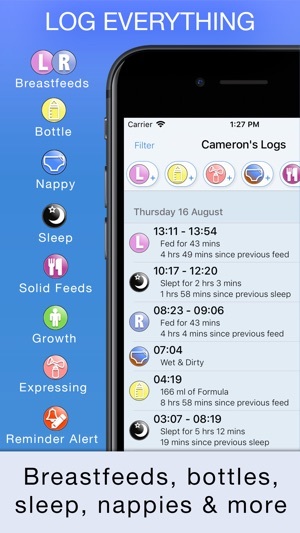 I use the app to record nappy changes (& contents!) and add notes for medicine doses. I also tracked meals when weaning. Used for both my son and daughter. My daughter is now 2 years old and I still use the app just to log the time for feeds. We only breastfeed morning and night now, but i also use for medicine and poo’s on the toilet as my daughter gets a bit constipated and this helps me remember when she last went! We are currently potty training so it helps with that too. 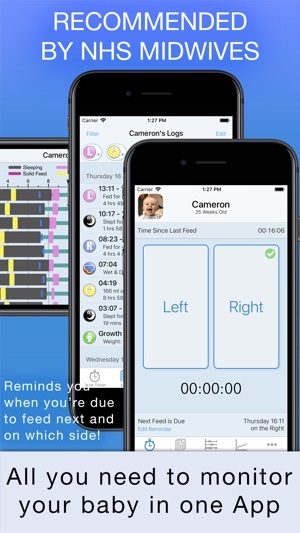 I’ve been using this app as a first time mum after I struggled with remembering baby feeds to report back to the midwife. Baby is now 10 days old and I bought the full version after 5 days. There are no pop ups, no ads, no “did you know” or bonus information (which is amazing at 2am in the morning when we’re both half asleep!!) it’s so simple to use for breastfeeding, just click on whichever side baby is feeding from (left or right) and then click stop when they stop!! I also love the simple display of information and I’m now using it to see if we can see any feeding patterns. I’ve shown my midwife and she is going to start recommending it to her other ladies!